Off and on over the last couple of days I browsed the web and links we received via e-mail, hunting for new music that I thought would be worth recommending. I’ve collected some of those here. 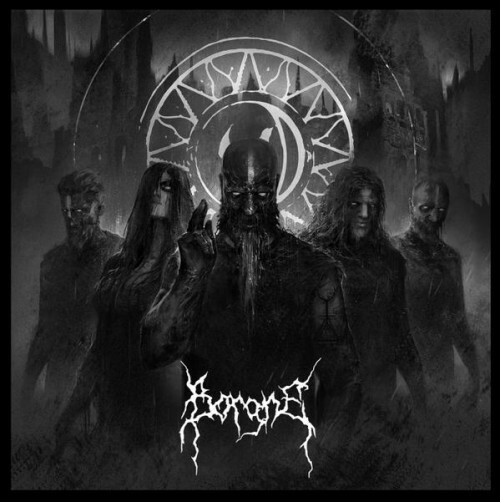 The songs display different styles, though they are all connected to the traditions of black metal — and I think they are all very good. Lux Ferre are a Portuguese band who somehow eluded my attention until this weekend, despite the fact that they’ve released two full-lengths and have a third one coming out this fall. The new album is entitled Excaecatio Lux Veritatis. 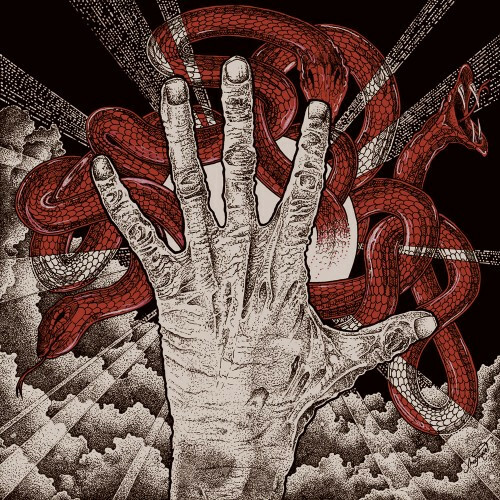 Lux Ferre obviously don’t crank out their albums in a hurry — this new one comes six years after the band’s last record, Atrae Materiae Monumentum, and that one followed their debut album (Antichristian War Propaganda) by five years. Though I can’t comment on the band’s previous releases, the first advance track that has appeared from the new album is tremendous. The name of the song is “A Lenta Adaga da Morte”. It begins slowly, like a funeral procession, with gloomy, heavy chords and a lurching drum beat — but then it catches fire and burns like a conflagration before changing again, dropping into a mid-paced rhythm. The tempos continue to change, but the shrieked vocals remain savage and the melody remains bleak, dramatic, and magnetically attractive. The song ratchets the tension as it progresses, becoming increasingly discordant and harrowing. Savage and seductive, “A Lenta Adaga da Morte” is a very appealing teaser for this new album. 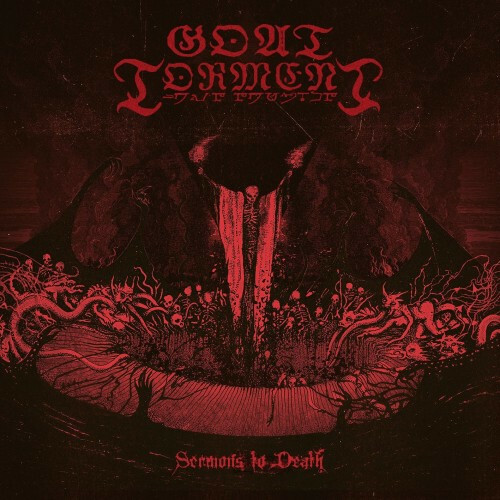 Goat Torment are another band that I only just discovered for the first time last May. They come from Belgium, and their second album Sermons To Death was released on CD in late July by the German label Amor Fati Productions. Before I realized that the album was out, I caught two songs on YouTube that were very impressive (one of which I had heard before). If I had more time, I would have listened to the rest of the songs and attempted to write a proper review. But as short on time as I am, I at least want to give my impressions of the two songs I’ve heard so far — and then stream the whole album for you so you can explore further. “Hierarchy of Negligence” is dark and daunting, but immediately infectious, with a vibrating introductory riff that gets stuck in the head like a spear. That riff eventually reappears in modified form, but in the meantime Goat Torment explode in a burst of predatory ferocity, deepening the atmosphere of heartless malice. It’s a thoroughly electrifying track with killing riffs, throat-rupturing howls, and an unstoppable drum attack. “Rising Dominion” (which I wrote about in May) wastes no time unleashing hell in a flurry of grinding riffs punctuated by big, booming grooves. The occult, ritualistic atmosphere of the song is enhanced by alternating vocal styles and by a slow, dismal interlude. And as thoroughly grim and rapacious as the song is, it’s also very catchy. Both songs are embedded below, followed by a stream of the whole album. Sermons To Death can be purchased as a digital download at Bandcamp, and you can order it on CD there, or at Amor Fati’s web shop (here), or directly from the band via goat_torment(@)hotmail.com. The third band featured in this collection is yet another one I’ve only discovered recently. 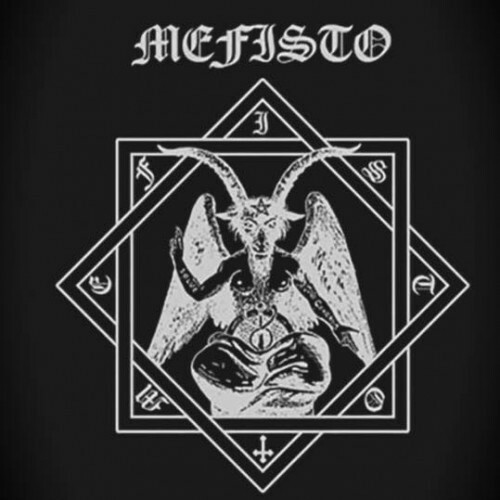 Mefisto was formed in 1984 in Stockholm, Sweden. From what I’ve read, they were one of the first Swedish bands to follow the influence of Bathory and Venom, and they had their own significant influence on the evolution of extreme metal during the 1980s. They released two demos on cassette in 1986 — Megalomania and The Puzzle — and then disbanded in 1987. A couple of compilations of those demos have appeared more recently, and now it appears that Mefisto have re-formed. I was tipped off to all this history by the appearance on YouTube of a recent Mefisto re-recording of a track named “Act Dead” from the Megalomania demo. After a couple of false starts, the song takes off with some hellaciously good thrashy riffing and raw vocal vituperation. The band eventually segue into big, hammering grooves, which pave the way for some delicious solo shredding. The song got under my skin very damned fast. As of this writing, the band are offering the new track as a free download from Dropbox — HERE. I’m not sure what they plan to do next, but I think it will be worth finding out. Continuing with the theme of black metal bands with significant history that I’ve somehow only discovered recently, the next song comes from the seventh album by a Swiss group named Borgne. The title of the new album is Règne des Morts (“Reign of the Dead”) and it will be released in a limited edition CD digipack by the band’s new label Those Opposed Records. It’s going to be a lot of music — 8 tracks totaling almost 80 minutes — and it includes a guest appearance by Horna’s Spellgoth. So far, one song from the album has been released for listening, a track named “Fear”. The beginning of the song joins a compelling drum rhythm to shimmering keyboard ambience and raking vocals. The music becomes more thundering and intense as the song progresses, and the guitar-and-keyboard combination creates an esoteric atmosphere that becomes increasingly entrancing — sometimes hovering on the edge of bombast, but never losing the dramatic power of the experience. A thoroughly engaging piece of music that’s as beautiful as it is otherworldly. Finally, we come to a band whose music I actually knew something about before this weekend. Last October, in another one of these Shades of Black posts (here), I wrote about a two-song EP I really enjoyed named Divide the Growth and Stone by a three-man group from Colchester, England, named Jøtnarr. I ended that write-up with the words, “More please”. 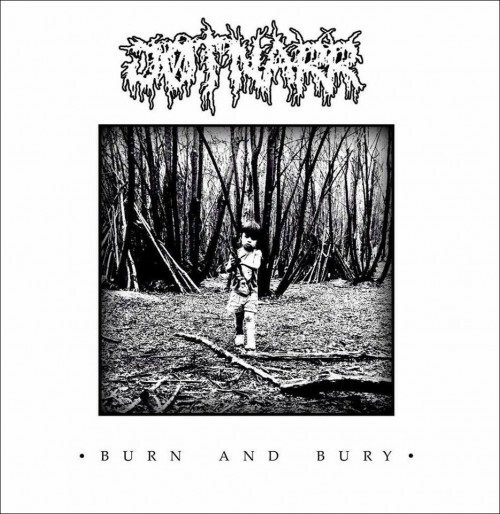 My wish has been granted, because I’ve just discovered that Jøtnarr have released a new collection of songs named Burn and Bury. The four songs on this EP hit like an electric shock, with powerhouse riffs that are catchy as hell, rhythms that will shake your bones, and a great sense of dynamics in the songwriting. The music rips, tears, and claws, but it’s also heavy as hell and sometimes as light and vibrant as a sun-dappled stream — and all the songs are memorable. Trying to put this EP into a genre box is difficult. It’s part black metal, part post-metal, part crust, and part sledgehammering demolition job. The musicianship is superb, the song-writing is wonderfully inventive, and the passion and intensity are in the red zone. In a word, fantastic. Burn and Bury is a “name your own price” download at Bandcamp (see the first two links below). It is being released on CD and tape by Prismatik, and on vinyl by React With Protest, Vetala, and SuperFi. Big fan of that Lux Ferre track. And Jotnarr sounds surprisingly upbeat at times.